A long time ago, Slamet Mountain was very high. It was so high that it could reach the sky. 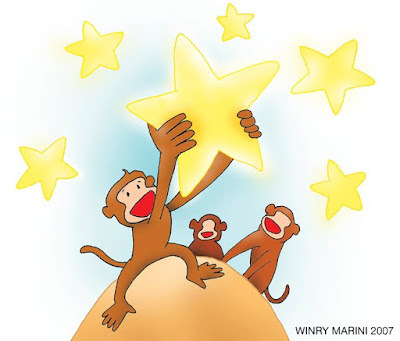 The people heard that they could take the stars if they were on top of the mountain. But no one dared to go there. Belum ada komentar untuk "Ki Semar and Slamet Mountain"